Old-time train: the Alaska Railroad, originally called the Alaska Central Railway, was the first railroad in Alaska. It was built in 1903. New time train: the Wilderness Express dome trains were custom-built and put into service in 2001 and 2002. To get to Gates of the Arctic and Kobuk Valley National Parks in Alaska's central Brooks Range, we needed to travel north of the Arctic Circle, to where all roads in Alaska disappear. Pretty certain that Wally the Airstream wouldn't fare well driving on Arctic tundra, we secured it at a spot in Anchorage and jumped aboard the Alaska Railroad to make the 12-hour trek from Anchorage to Fairbanks where we would hop on a bush flight to two of the most remote parks in the system. The Alaska Railroad railroad was the first in Alaska, starting in the coastal town of Seward (a jumping off point to Kenai Fjords National Park) and stretching just 50 miles northward. In 1914, Congress approved its extension to reach farther north to the town of Fairbanks. While the development of the railroad was an important thing for the growth of Alaska, there wasn't enough use during those early days to make it a profitable operation. It was the heavy use of the railway during World War II that would set it on a road to profitability when military transport, resupply, and hauling needs were at an all-time high in this strategic point on the Pacific. The railway's evolution continued in the decades to follow, eventually expanding to include passenger services and luxury coaches as a complement to the booming cruise industry. That's just a CliffsNotes version of the railway's history. But it's not the history that entices us to trains, but the romance. Since the first steam-engine blew, storytellers and travelers alike have waxed poetic about the romance of train travel. Crossing through untouched landscapes, the sounds of the rails, conversations with strangers while wining and dining the whole way— this mystique is very well alive in Alaska and can be fully enjoyed on an overland rail journey with stops in several of our national parks. 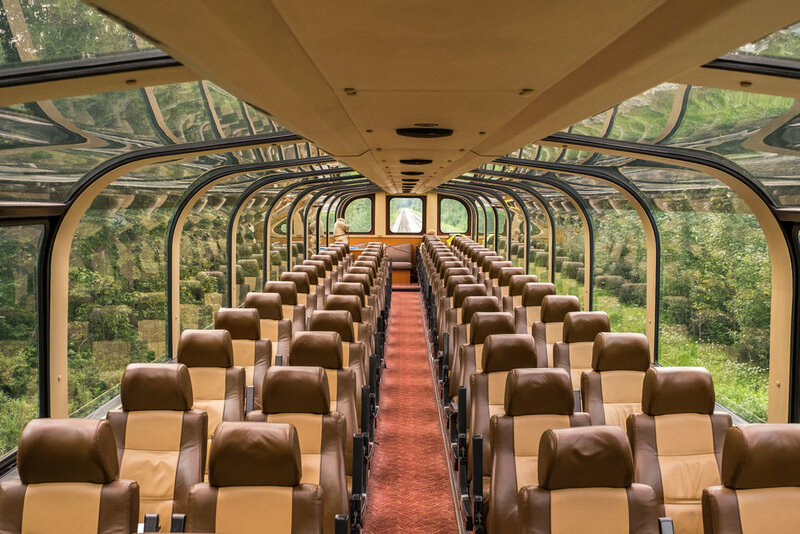 Our journey was made on the Wilderness Express train, with a glass dome roof allowing for views of wild Alaska, interrupted only by exquisite meals in the dining car and offers of red wine from the bar captain who was conveniently positioned right in front of our seats. Most of the other guests on the train that day were traveling between Anchorage and Denali National Park (on the Denali Star route)—a classic way to reach Alaska's most visited national park starting in the capital city of Anchorage. Wildlife can be hard to spot as wild animals don’t generally congregate near loud locomotives, but if you’re lucky, you may see bear, moose, and caribou. What you will surely see is 360 panoramic views of Alaska from start to finish (bypassing Sarah Palin’s house in Wasilla, which you can't really see) while winding through spruce forests and atop bridges overlooking beautiful braided rivers all the way up to Fairbanks. If you want to experience historic Alaska in a really fun way, try to explore at least one leg of it by rail. Happy trails! On the way to Fairbanks from Anchorage on the famed Alaska Railroad! Look at those spruce trees, and that greenery, and those clouds! It was a beautiful journey the entire way. Older PostMcCarthy, Alaska—The "Pilgrim Wilderness"
© 2015-2016 The Greatest American Road Trip / Fire Soul LLC, All Rights Reserved.